Ursula Hegi reads the first chapter from her novel in-progress at the 2014 Bread Loaf Writers’ Conference. 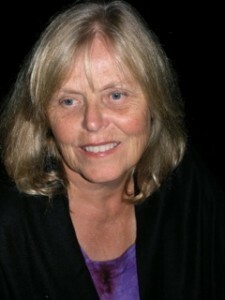 Ursula Hegi is a bi-cultural writer who has published 12 books. Her Bulgdorf Cycle encompasses Stones from the River, Floating in My Mother’s Palm, The Vision of Emma Blau, and Children and Fire. Hegi’s work has been translated into many languages. Awards include the Italian Grinzane Cavour, NEA, and PEN/Faulkner. She is MFA faculty at Stony Brook Southampton, and has also taught at Barnard and Irvine. She has served as a juror for the National Book Awards and the National Book Critics Circle. Her new work will appear in NER 36.3, fall 2015. All Bread Loaf Writers’ Conference readings are available for free on iTunesU. Want to hear more? Visit the the Bread Loaf website.